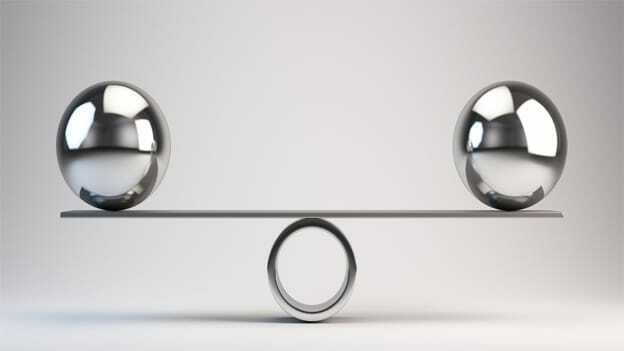 Blog: Does work-life balance exist? What makes you so anxious that you need to nudge away your personal plans for work, and sideline the very people whom you are working so hard for? Do you remember you skipping lunch to complete that coveted brand pitch? Or sacrificing your vacation to tend to a project? Or excusing yourself from your daughter’s school meeting to battle an office crisis? Very early in my career, I recollect going for a ‘very important meeting’ of a client to discuss his daughter’s wedding invite the morning after my father’s death. Because my boss had scheduled the ‘very, very important meeting’, on my behalf and I was afraid to refuse. All of these, on hindsight, could have been rescheduled or handled smoothly in your absence. What makes you so anxious that you need to nudge away your personal plans for work, and sideline the very people whom you are working ‘so hard’ for? What happens when you are on the winner’s podium and the family has moved on? Was it worth it? How many times have your office colleagues and bosses been around to offer help when you are battling a health crisis or having a tough time organizing a replacement maid for your pre-schooler? None. In my experience, you may be operating from the limited belief that you need to be ‘possessed’ by work to succeed? Arcadis’ Sustainable Cities Report which measures work-life balance studied the average annual working hours in four cities in India and the findings showed that Indians work around 2,195 hours on an average every year, far above the 1,473 hours a year in Hamburg, the city that ranked among the top three for work-life balance. Unlike the West, messages and mails on personal phones keep pinging and demand a response whether it’s a holiday or off-duty hours. Most Indians are used to working ‘beyond office-hours’ and a refusal may come in the way of their annual appraisal. This need to ‘sacrifice’ has worsened with the digitally ‘available’ era, one lives in, today. You are on call 24x7. In fact, most people say so with pride! Sacrifice in a job is reflected in many ways, long commute, intensity of the work, the pressures of very role you are in, being on call when off-duty and the frequent travel demands. To enjoy some balance, it may be pragmatic to set a few boundaries and non-negotiables to protect your close relationships as well as your career. Work-life balance means different things to different people because we are different. Having an open discussion outlines clear expectations and sets the tone of the professional engagement right from the start. You could work on a limit in your travel schedules, work-from-home possibilities, and working late to free weekends, etc. Use technology and newer ways to maintain the balance. Become super-efficient and productive so you get more out of your time at work. Have a lunch date with the spouse. Take the family along for an extended break after that workshop or seminar. Do not multitask. It is more taxing, you are prone to errors and takes a longer time to complete things. Taking stock of the people and things that matter to you beyond a fancy designation or a big bonus, can help you place your goals in perspective. And if you are unable think of anything, then all the more reason that you take a pause and figure it out. When you are unavailable at memorable moments of your loved ones, it could strain your relationship and push people you care about, away. Highlighting non-negotiable events and dates like your life partner’s and the children’s or parents’ birthdays, PTA meetings and your annual holiday, in advance can help employers work around your plans or seek alternative strategies. Use your vacation time or time-off, without feeling guilty or anxious. Doing this will ensure you don’t miss out on quality time with those who matter - your life partner, kids, friends or you. Do the same for critical events at work. This will help integrate the demands of both - work and life. The mind believes what one feeds it. Work comes with situations and people that put us through stress and can impact your mindset and mood. Eat on time. Spend at least 30 minutes on your lunch break and give yourself a breather. Do not eat at your desk. Hang out with your co-workers, laugh, joke, lighten yourself. Develop your own cooling down mechanism after work. It could be yoga, cooking with your family, reading, catching up on your favorite Netflix series or playing with your kids or the cat. At times, you may find an overlap between work and life’s demands. That’s how life works. Prioritise what is more imperative than the other. Exercise choice and the courage to say ‘no’. Your presence wasn’t and isn’t the only game changer. Let’s get real. Tomorrow when you walk away, there is a replacement ready to fill your shoes. Remember, all of those who felt they were indispensable, lie in graves, today. We all strive to achieve balance. Will you achieve it? I’m not sure. Maybe not. It’s like seeking perfection. The show goes on. Give careful consideration and adjust your viewfinder to life’s priorities. Ask hard questions and make those hard decisions but do what makes you feel lighter in your soul and brings you peace. Like everything in life, in the quest for success and ambition, something is gained and something is lost. The pursuit for the elusive work/life balance is endless and on a continuum. Farzana Suri is a Victory Coach. NEXT STORY: Is it possible to be completely objective? Are you a remote-controlled leader? The Art of Being Relevant: Where does the HR function stand?